It's always heartwarming to hear about dogs who have overcome the worst of situations. So is the story of Max. 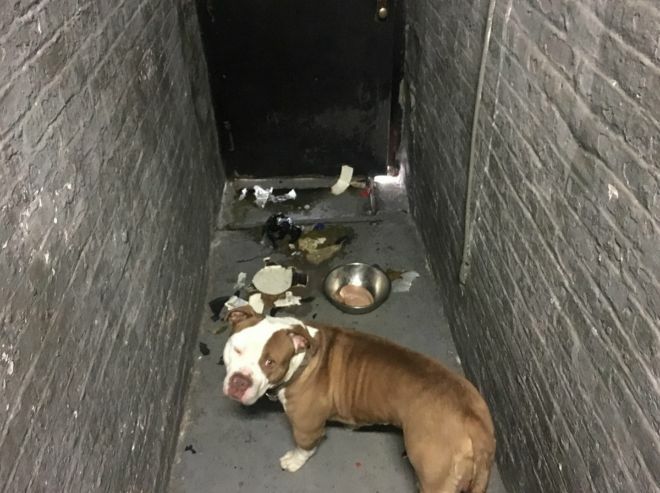 The pup was forced to live a life of isolation in a dark basement apartment where his owner neglected him and gave him very little interaction. However, the story only got worse once the owner was fired from his superintendent position and immediately abandoned Max in the basement. What began as a life of sadness and loneliness slowly evolved into a beautiful story of rescue and love. With a few dedicated individuals and a family searching for something special--Max's life to a turn for the better. Max was kept in a very tight, dark space in a basement where he had limited human interaction. 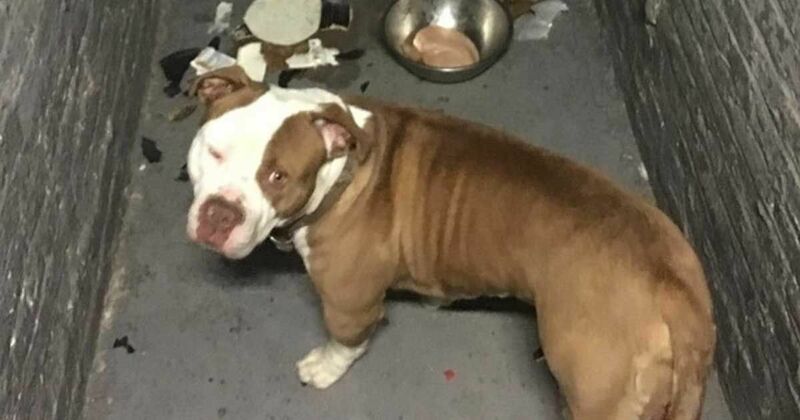 Of course, rescuers were concerned about whether or not he could be adopted because such conditions can certainly impact a dog's ability to socialize appropriately. Fortunately, Mr. Bones and Co., a local rescue was able to place Max in their One Lucky Pup rehabilitation program. There, Max's medical needs were addressed and they began evaluating him for adoption. While his personality was certainly friendly, he seemed to have sensory overload due to being isolated most of his life. According to the rescue's Facebook page, Max is a keen visual learner and doesn't readily respond to verbal cues. 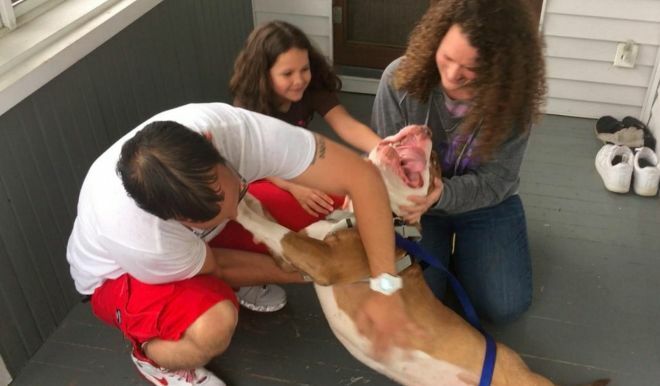 They knew right away that Max was a special dog that would need a special home. With a story like Max's it was no surprise that many people applied to adopt him. However, there was one family that stood out from the crowd. Courtney Kinser, Noel Lamboy, and their 8-year-old daughter, Lily seemed to be the perfect fit for Max. 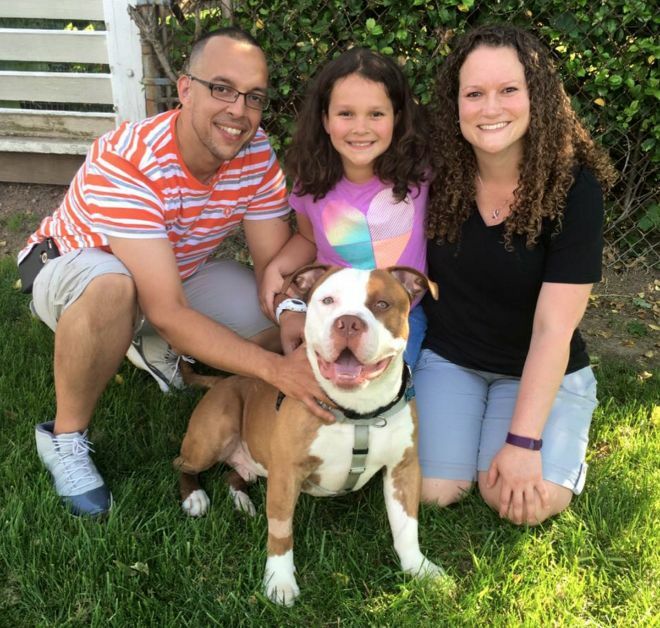 The family had recently lost their pit bull, also named Maxx, and were seeking the right fit for their family. According to an article from The Dodo, what made the match ideal was that Kinser and Lamboy both happen to be deaf/hard of hearing which offered Max the perfect learning environment. Instead of learning verbal commands that would likely be difficult for a dog with Max's past, he would learn sign language--the best learning method for him! 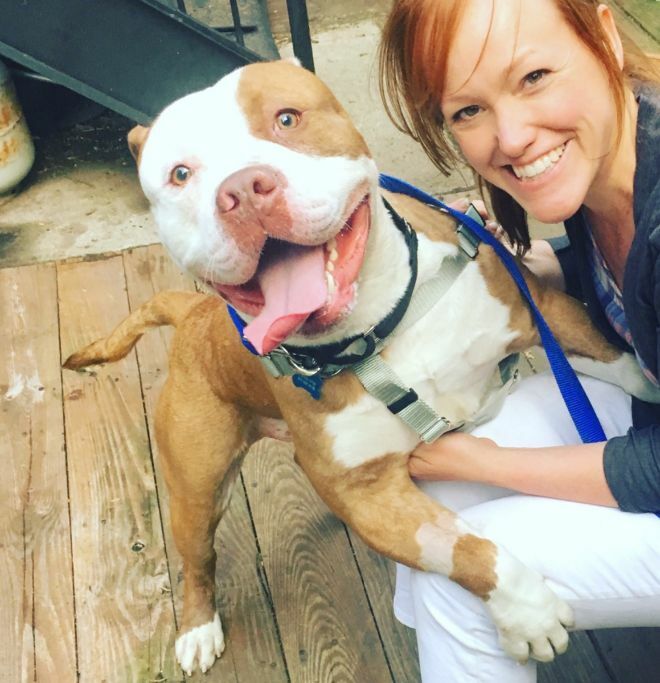 What started out as a rough life, has transformed into something beautiful and perfect for this precious dog and his new family. If this story warmed your heart, share it with your friends.